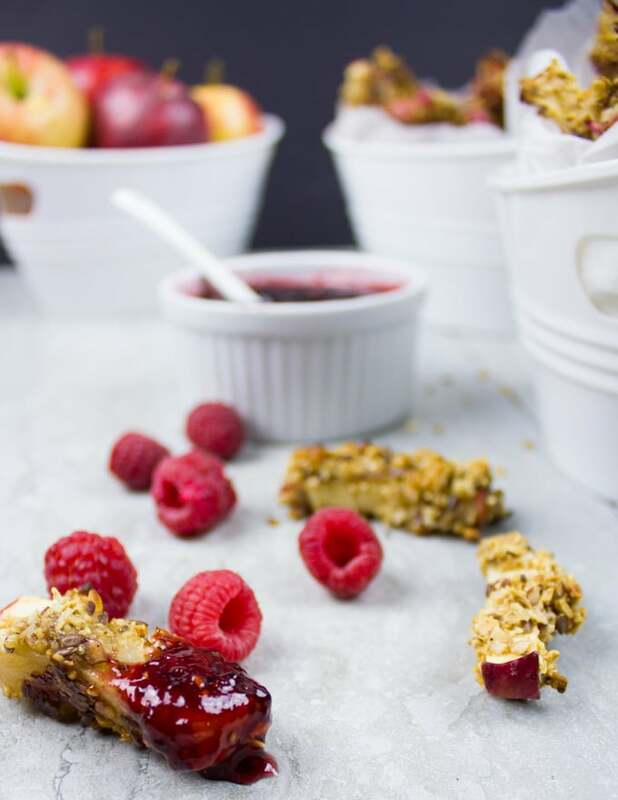 These Baked Apple Fries dipped in sweet Raspberry Sauce are highly addictive. 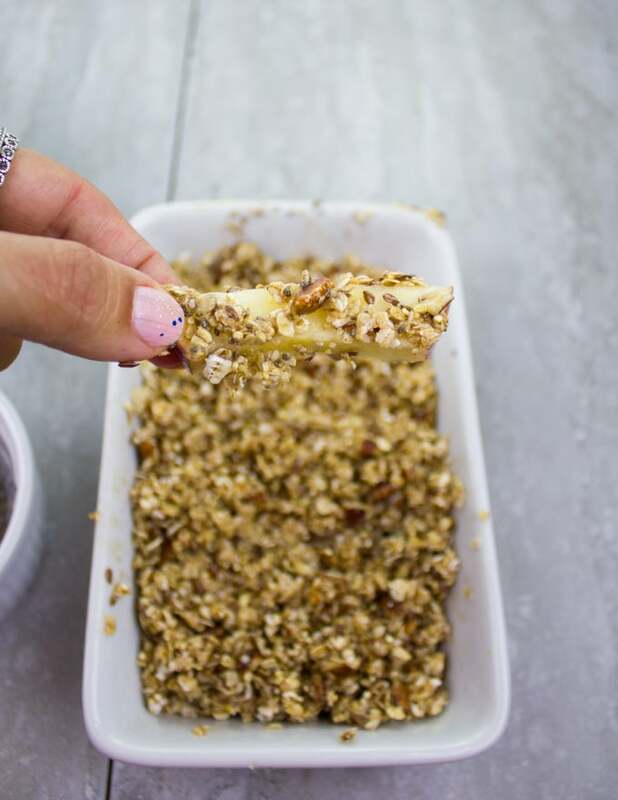 Every bite is a crunch of oats, seeds and nuts with a tender sweet baked apple inside. A healthy, fun snack your whole family will love! 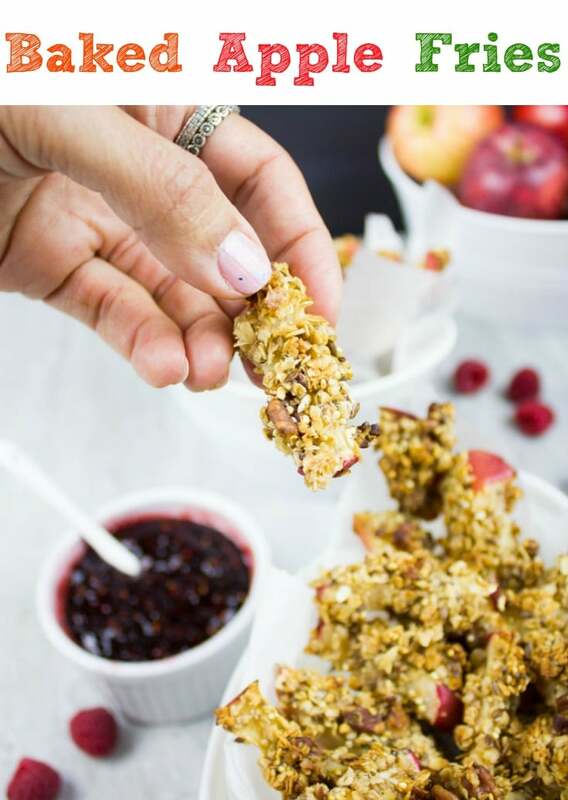 This Baked Apple Fries recipe is sponsored by my friends at Ontario Apple Growers —local growers of high-quality delicious apples, helping us all eat, snack and live healthily! Make sure to look for the Foodland logo so you know you’re buying Ontario grown apples! 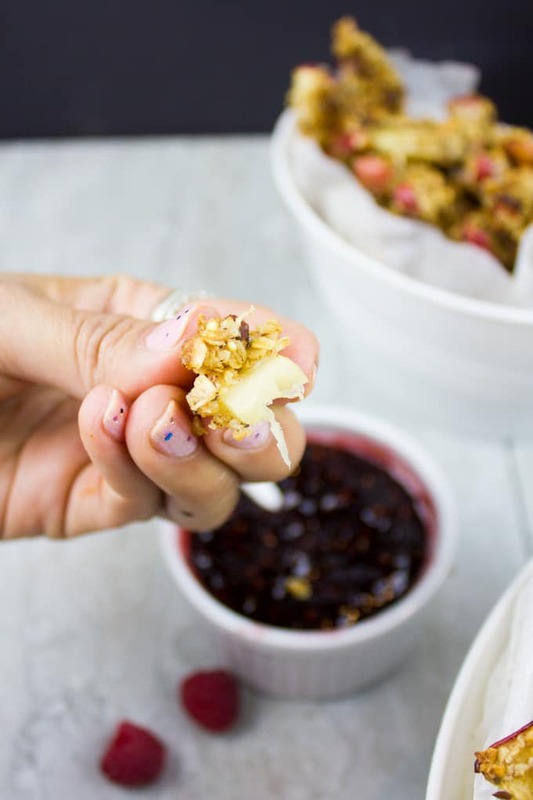 Every bite of these Baked Apple Fries is a crunch of oats, seeds and nuts with a tender sweet baked apple inside. Whether you decide to dip your Apple Fries in raspberry berry sauce or not, you’re in for a real treat!! Normally, I would coat my apple fries in an egg mixture. However, I wanted to keep this Baked Apple Fries recipe vegan, so I coated them in a mixture of chia seeds and water, which worked beautifully! 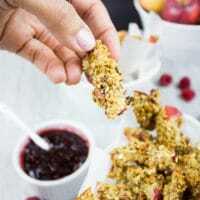 Similarly, the crunch factor, which is the granola here, can be sweetened with brown sugar or maple syrup to make this recipe totally vegan. There’s something about apples that just feels perfect when you want to lighten up your meals and snacks. It’s probably the first ingredient that comes to mind. Ironically, when I crave something divine and decadent, it seems like apples come to mind right away! Something like this MUST try Swiss Apple Tart Recipe, for example, is pure lush! Well, today we’re chatting healthy stuff. I feel that healthy meals and snacks should not feel like a chore or resolution, but rather a treat on their own. I mean just look at these Baked Apple Fries, how can that feel anything but a treat?! First of all, here’s an amazing Apple GUIDE to all the many different varieties of apples and how best to enjoy them. I find myself often reaching for Gala apples more than any because I just happen to favor that sweetness, texture and crunch. 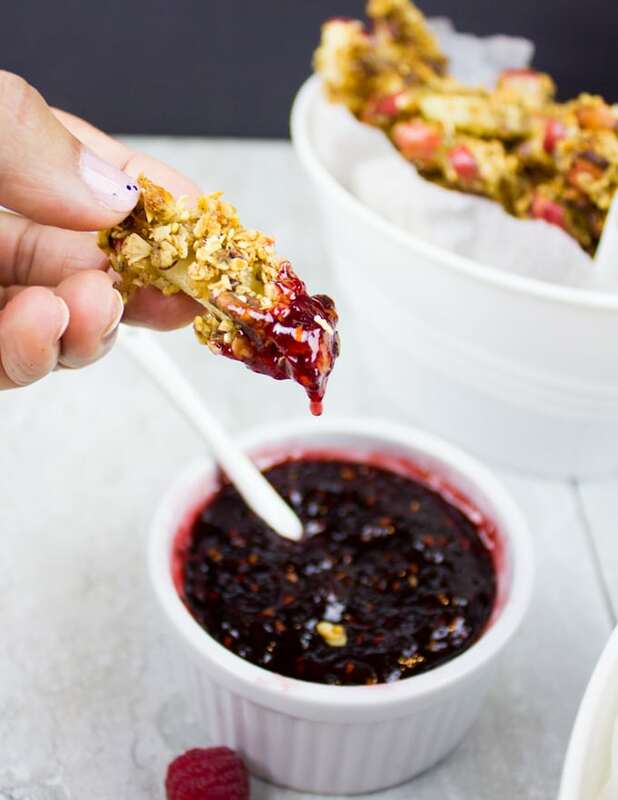 Mix the chia seed coating in a small bowl and mix the granola crunch coating in a bigger deep dish. 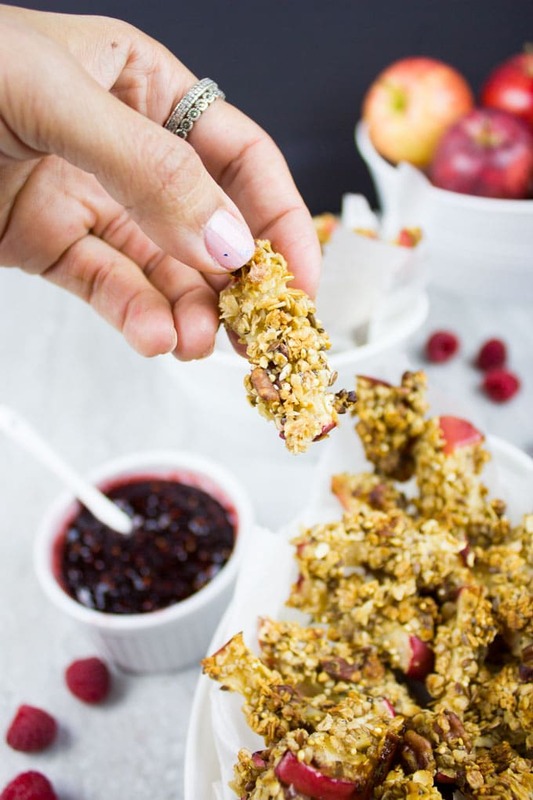 Take an apple stick at a time and dip it into the chia seeds, then coat it with the granola crunch. Place the apple-stick on the prepared baking tray. Repeat with the remaining apple sticks and bake the tray for about 20 minutes until the granola coating is golden and crisp. 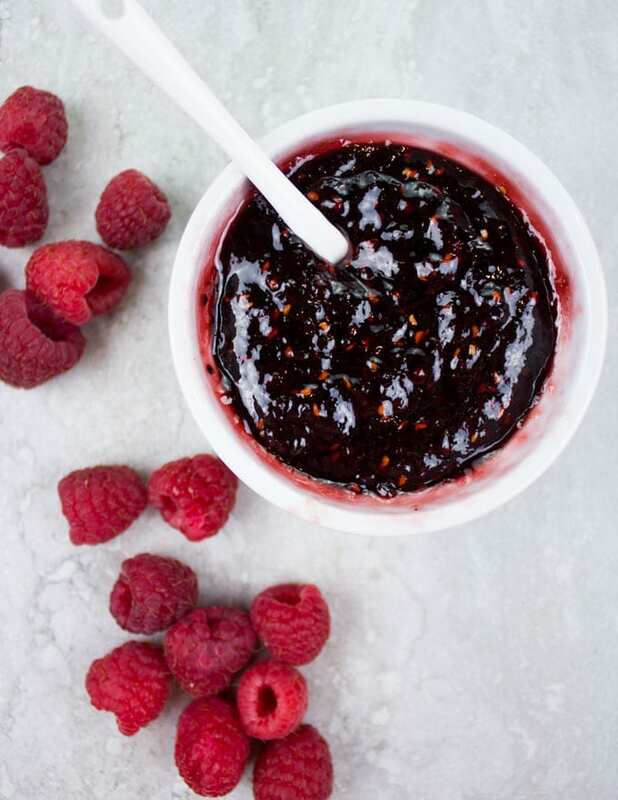 In the meantime, make the raspberry sauce by mixing all ingredients in a microwave-safe bowl. Microwave the raspberry sauce for 2-3 minutes until bubbly and thick. Use a whisk to whisk the sauce and mush up the berries till smooth. Adjust the sweetness and thickness of the raspberry sauce by adding extra water if needed or extra cornstarch and microwave an extra minute. Allow the sauce to cool before serving it with the Baked Apple Fries. Enjoy! Now the question would be, whether to dip or no to dip your Baked Apple Fries in raspberry sauce? Well since we’ve baked and not fried our apple fries, I say we can indulge in a sweet raspberry sauce. I love this simple raspberry sauce which I’ve used before in many cheesecake recipes. It’s basically microwaving raspberries, sugar, water and cornstarch until a thick sauce magically happens! As you whisk the berries into the sauce, they will all mush up and your sauce will be smooth. I should probably say that blueberry sauce would be terrific too, but I opted for raspberry sauce so it looks like ketchup with my Baked Apple Fries. 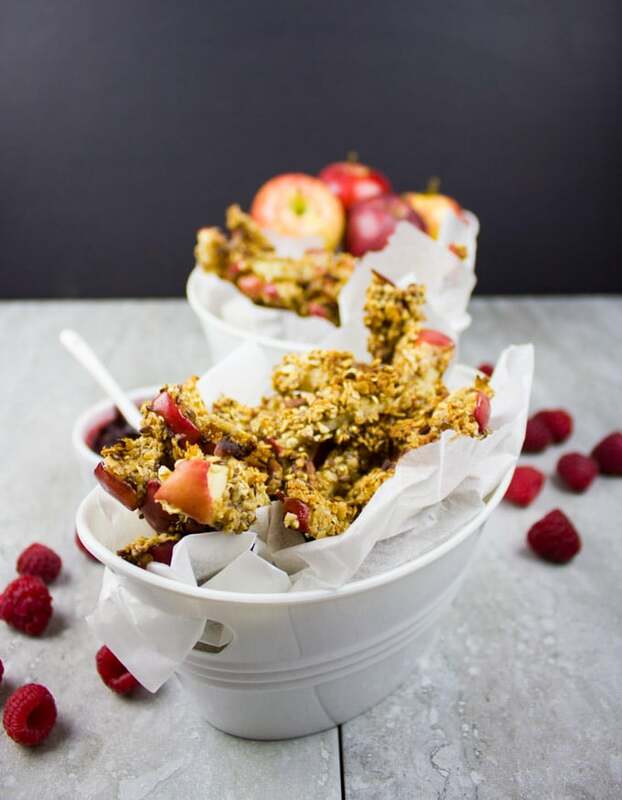 These healthy Baked Apple Fries will blow you away! 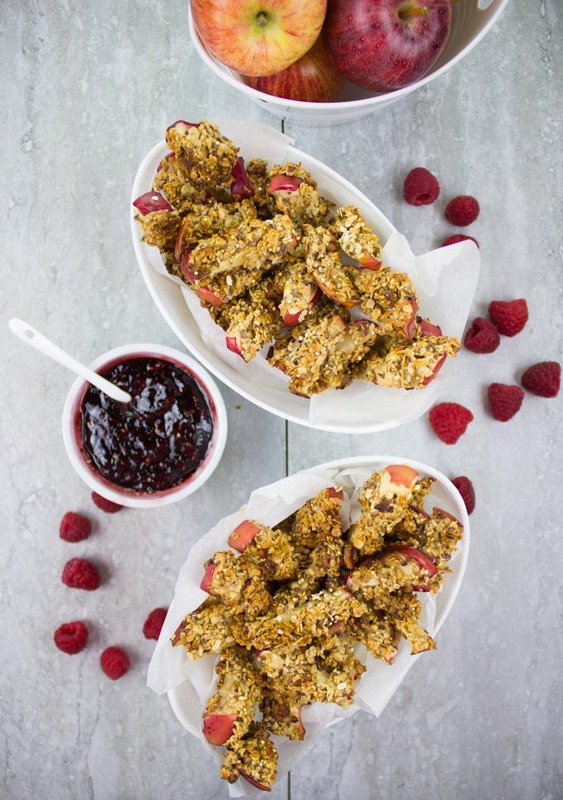 It’s super easy and delicious, plus it has this addictive pick me up finger food quality which you can’t resist 🙂 And above all, it’s really healthy, good for you and seriously fills you up! So give these apple fries a try and be prepared to fall in love. The crunch on the apples will depend on the thickness of the apple fries. So thick apple fries or apple wedges will have a crunch, while slim cut apple fries will turn pretty soft. It’s totally your choice. Mine were cut pretty thin so the apple was soft. When it comes to the granola mix, use your favorite seeds, spices and nuts. I love plain old fashioned oats, flax seeds, quinoa seeds, more chia seeds, chopped pecans and plenty of cinnamon. You can certainly use ginger, chai spice, apple pie spice, swap nuts around, add more seeds, take away some,etc. 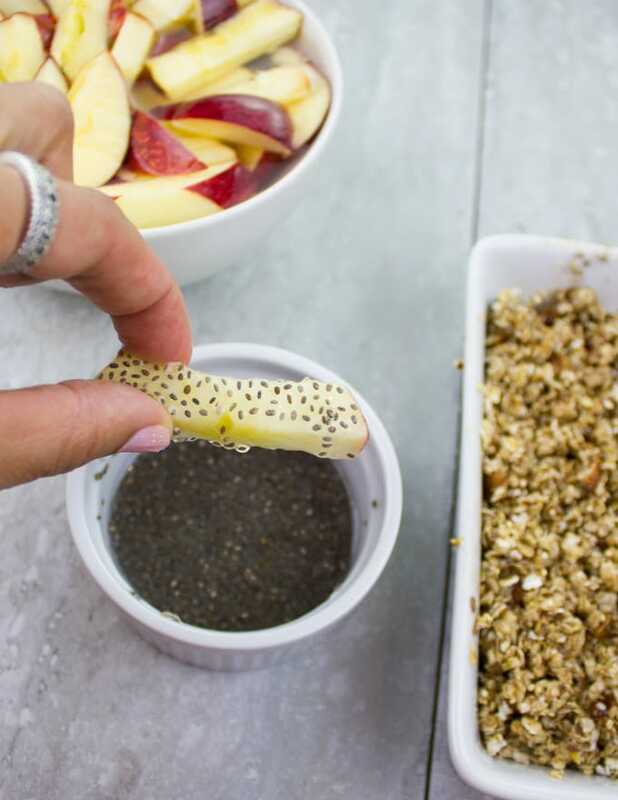 Mix the chia seed coating in a small bowl and mix the granola crunch coating in a bigger deep dish. 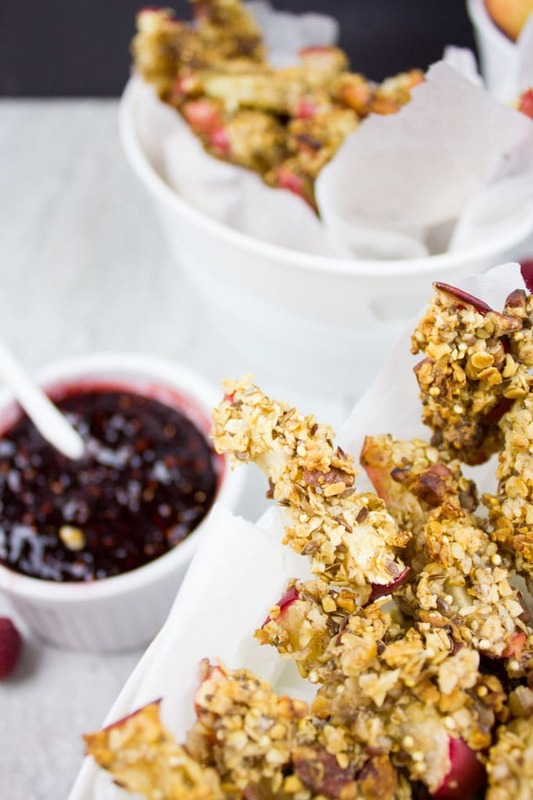 Take an apple stick at a time and dip it in the chia seed coating then into the granola crunch coating. Place the apple sticks on the prepared baking tray. Microwave the sauce for 2-3 minutes until bubbly and thick. Use a whisk to whisk the sauce and mush up the berries till smooth. Adjust the sweetness and thickness of the sauce by adding extra water if needed or extra cornstarch and microwave an extra minute. Allow the sauce to cool before serving with the baked apple fries. Enjoy! So awesome for an afternoon snack!! This is such a great idea. I’d love to bring these to work with me. And that raspberry sauce sounds incredible. It really is! 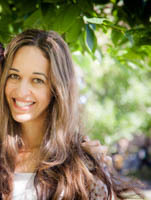 Thanks Danielle! This is such a great idea!! It’s a great sweet alternative for adults and kiddos as well. The idea of eating your apple baked with a crunch sounds very appealing. 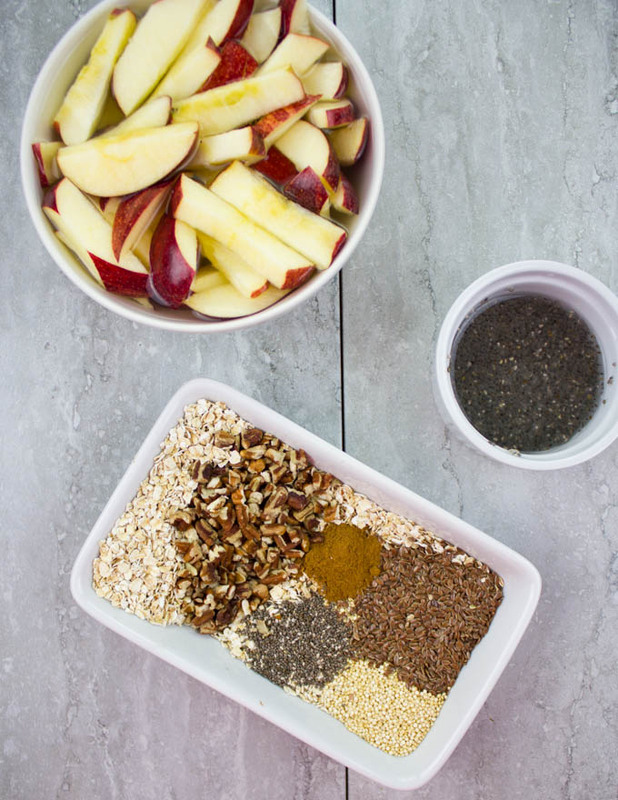 I haven’t tried chia seeds yet but using them with the apple to help in the crunch sounds great. This recipe is certainly a keeper. The grandsons will love it! Thanks Marisa, it’s kid and adult approved for sure! The chia seeds just act as an egg–because I’ve made this totally vegan, but you can use an egg white or a full egg if you’re not. Oh, this a great idea… I love this for a snack. It would be perfect for the kid’s snack and also my snack. Love baked apples so this is my kind of crunchy munchy treat. Saving this for later. Thanks Veena, your kiddos would love these! This is such a fun recipe! My boys would get such a kick out of having apple fries- plus sauce to dip! I can’t wait to introduce this to them! oh wow! these baked apple fries look amazing! I’m going to have to try it. I love fries so this is a delicious healthier alternative. Carmy these are SOOOOOOO good!! I think am an addict already – just from looking at these marvelous images! I can only imagine how tasty the real fries are – delicious! What an brilliant way to serve up apples! Love it. I’m sure I’m going to be trying this soon. When I made apple nachos, kids who always complain of eating boring apples enjoyed and finished the whole lot. I’m very sure they are going to love this incredible looking apple fries!! WOW! These are anything but boring Jyothi!! Hope you make it soon!